Weinel Roofing offers the best gutter installation possible by using a 6 inch wide, seamless gutter. The width of your gutters determines the amount of water gathered by your gutters. On roofs with a steeper pitch the water gathers faster and in greater volume, therefore installing a 6 inch wide gutter gives your home the highest level of protection possible. Width isn't the only factor, a seamless gutter protects better and lasts longer - PERIOD. The more seams throughout a gutter raises the chances of a leak tremendously and can mean a lifetime of repairs and patches. 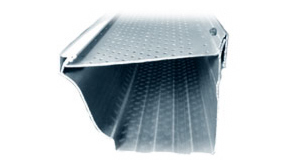 Included with the seamless gutter installation are custom miters. A clogged gutter can spell disaster for your property. Rather than routine gutter cleaning by Weinel Roofing or Yourself, consider Leaf Relief Gutter Screen Systems. Leaf Relief’s patented design allows water to flow freely while debris is lifted away from gutters with a gentle breeze. For more information click here. Classic Box Gutters are still found throughout the historic areas of Northern Kentucky. To maintain safe and effective box gutters, Weinel Roofing is capable of removing the old box gutter lining and installing new material. We use high quality metal and solder all the seams to ensure a long lasting, leak free box gutter. Minor repairs to your box gutters are also available, such as patching or leveling.